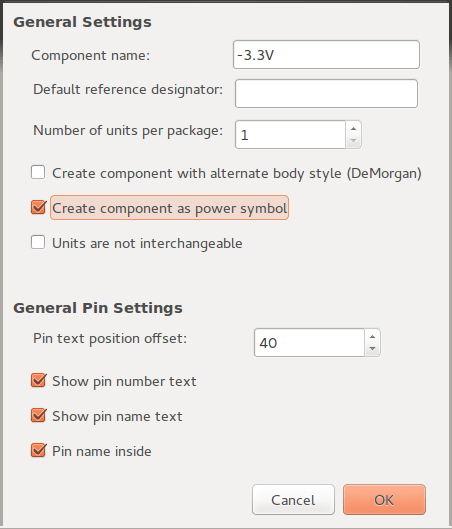 From this post, it is possible to create a new component. In this case, under the ‘Component Properties’ window we’d fill in as shown in the figure below then go ahead and create our power port. However, our new -3.3V power port would not be under the ‘Place power port’ but under ‘Place component’. While this is not so bad since it would work anyway, I found it better to have all power ports under their correct title.